Are your eyes itchy, bloodshot, watering more than usual, or are your eyelashes congealed with a gluey yellow substance? You might be suffering from conjunctivitis. Here’s our guide to identifying it, dealing with it, and stopping it from spreading further. Conjunctivitis is usually caused by a bacteria or virus that spreads easily in densely populated environments, making it common in classrooms and offices. Some incidences of conjunctivitis are by an allergic reaction, and therefore aren’t contagious. But it’s best not to take risks. Get a diagnosis as soon as you can. Conjunctivitis is usually easy to identify. Its trademark symptoms are redness around one or both eyes, and a discharge from the eye. This discharge could either be a yellowy pus that can leave a sticky deposit on your eyelashes, or a clear watery fluid. Boil some water and leave it to cool, then wet two separate cotton wool pieces (one for each eye) and gently remove the deposits from your eyelashes. Alternatively, use a sterile saline solution or sterile eye wipes. Apply a cold compress to each eye for a few minutes. This cools and soothes your eyes. 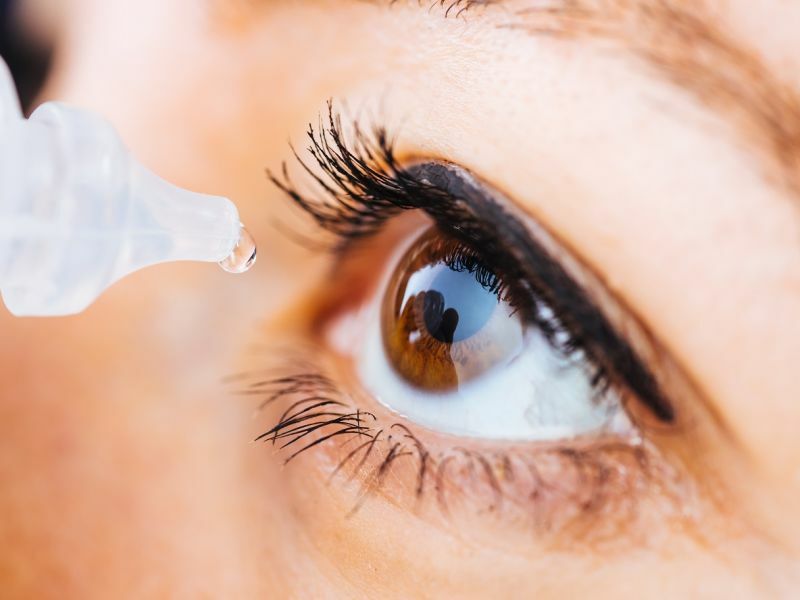 Seek advice from an optician, pharmacist or GP: they may advise you to use eye drops, such as Thealoz Duo, to relieve the soreness, or prescribe painkillers or antihistamines to reduce the irritation and swelling. If you’re diagnosed with bacterial conjunctivitis, you’ll likely be prescribed a topical antibiotic. Most forms of conjunctivitis (apart from conjunctivitis caused by allergies) are contagious. Unless you want to pass it around your friends, family and co-workers, it’s best to take action – you might even need to take time off work. It spreads through contact with water droplets, so that means coughing, sneezing or contact with infected tissues, towels or bed linen could put others at risk. Make sure you’re as super-clean as possible, and you should contain the infection. I’m not sure if I have conjunctivitis? If you think you have conjunctivitis, it’s best to seek a professional diagnosis from your optician or GP. If you have any questions about your eye health, get in touch with Leightons on 0800 40 20 20, or visit your nearest branch.